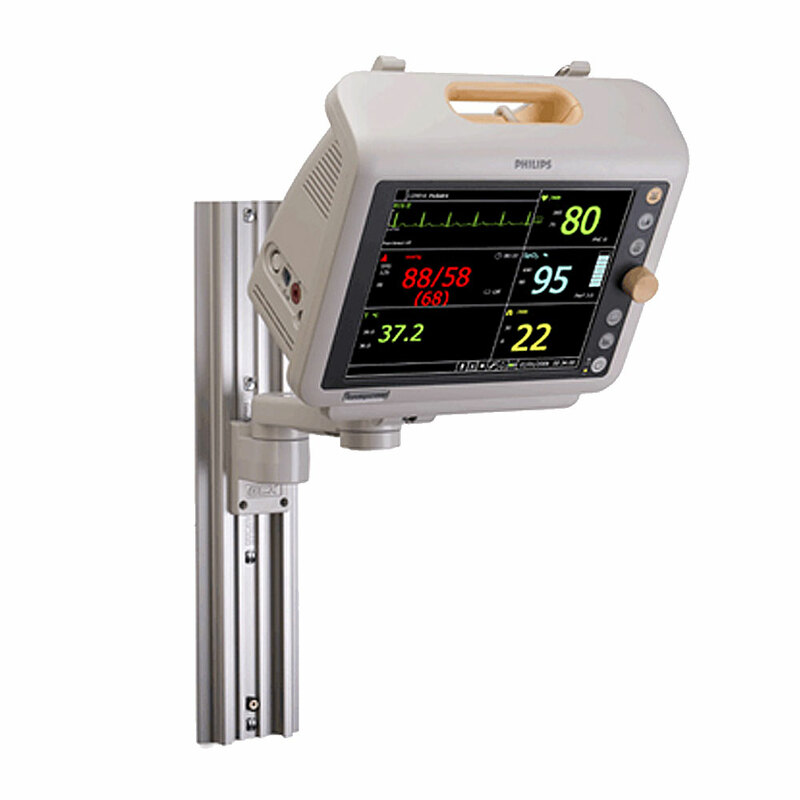 Philips Wall Mount Kit for use with the SureSigns VS & VM Patient Monitors. Kit includes 8" (20.3cm) pivot arm, which installs in GCX wall channel. Arm allows lateral positioning as well as tilt and swivel movements. Also includes mounting plate to attach base of monitor to the arm.